I remember the distinct feeling of excitement & nerves as I waited backstage to perform my percussion concerto with the West Australian Symphony Orchestra as part of the Australian Young Performers Award (YPA). It was the instrumental final. A whole year’s worth of practice and hard work came down to this one moment. As I took to the stage of the Perth Concert Hall the sense of electricity in the air was palpable. The conductor waved his baton and were into it. The orchestra sounded amazing and I smashed my drums with as much energy as I could muster. In the lead up to the competition, I believed winning could launch my career. I thought I had a good chance – I was playing well and had chosen a great composition by American composer Joseph Schwantner. The feeling of immense disappointment when I found out I didn’t win, was how I reckon an AFL team must feel when they lose the Grand Final! I felt quite devastated. With the countless hours of practice, blood, sweat and tears that had gone into preparing for the event I guess this feeling was only natural. The experience caused me to take a step back and reassess. How well was I really playing? What can I improve? Was winning a competition the only way to building a career? Firstly, there were some aspects of my playing that needed more work. Secondly, it was just one competition and there were plenty more out there for me to have a shot at. Thirdly, my expectations of winning were just that – my expectations. The other contestants were all incredibly talented and equally had a good chance of taking it out. 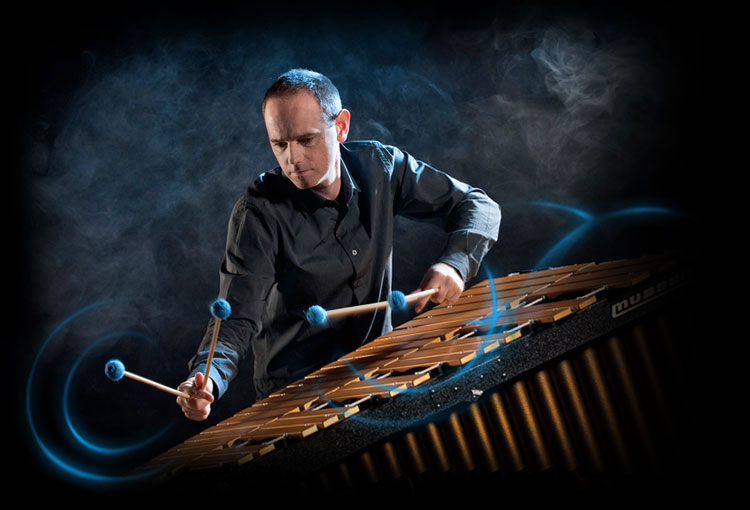 Finally, there are plenty of amazing musicians out there who have never won a competition! So what did all this mean for me? Well I doubled down and practised even harder to improve my musical skills. I decided to take a different view of competitions. From now on it wasn’t just about trying to win, it was about making the most of the experience. It was such a great opportunity to play as a soloist with WASO at the age of 21. I learnt so much from the rehearsals through to the performance that it has stood me in good stead in many other musical situations ever since. It was a daunting experience standing on stage with a capacity audience in front of me and with 70 professional musicians behind, but it built my confidence. There’s no better way to build resilience than by going through tough circumstances. As musicians we’ve got to face our fears head on and that’s how we’ll conquer them. The YPA experience helped develop my musicianship, enhanced my musical experience, fuelled my determination to improve, but most importantly taught me that it’s more important to learn and grow from the process of undertaking a competition, rather than winning. 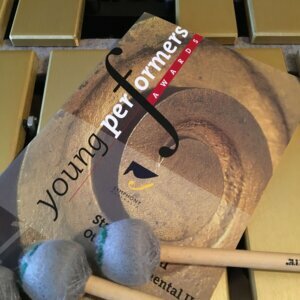 As it turned out, I was lucky enough to win a few other competitions along the way including the Melbourne International Percussion Competition, but I’m not sure I would’ve if I didn’t go through the YPA experience. So how do you win a music competition? It’s the wrong the question. You should be asking yourself, what can I take from the experience to help make me a better musician? My advice to student musicians – do competitions and view them as stepping stones in helping you become the best player you can (regardless of if you win or not! ).